← A Living Legend Comes To The Lowell Summer Music Series! 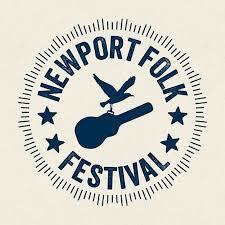 This week almost all the additions to the Newport Folk Festival lineup are artists who are completely unfamiliar to me so I know I will get to hear lots of cool new music this year! This is the Kit – This is a British folk-blues artist whose sound I like based on the video I saw. Jen Cloher – She is an Australian artist; considering how much the Folk Family enjoys another Australian musician (Courtney Barnett), I believe Jen will be well received at the Fort. Brandi Carlile – Brandi’s set a couple of years ago was fantastic and I have no reason to believe this year will be any different. Daniel Norgren – He is another international artist whose music I am excited to hear. Curtis Harding – He is a soul singer from Michigan – sounds great to me! Lucius – This is another act returning to the Fort this summer; they were loved before and I have no doubt they will be loved again! At this point, the Festival is sold out; the right way to try to purchase a ticket is through their fan-to-fan ticket exchange. Get yourself on the waiting list – I know a lot of people who were able to purchase tickets last year through this site. This is an amazing festival – even going for one day is worth it. Get on the list now!!! Posted on March 27, 2018, in concert announcements, music, Uncategorized and tagged boston, Brandi Carlile, concert announcement, Curtis Harding, Daniel Norgren, Jen Cloher, lucius, music, Newport Folk Festival, Newport RI, This is the Kit. Bookmark the permalink. Leave a comment.